Dating back as far as the late 1800s Prestwich Golf Club is now also home to Footgolf. Situated in Greater Manchester, this is a brilliant addition to North West Footgolf. 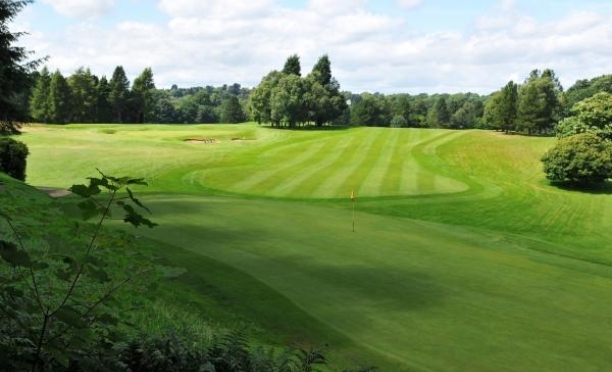 Played on the 18-hole course, players will be treated to a well-maintained, undulating course with a mixture of mature trees, open spaces and tricky bunkers. Footgolfers are welcome on weekend afternoons but it should be noted that this is a more formal club and no football boots, jeans, combats or shorts are allowed. The modern Clubhouse has everything that you need following a game with friends or family, and you can continue your leisure time by relaxing in the bar or restaurant. Footballs are provided, and this really is a wonderful course for beginners or those with more experience. We made a booking (on another website) for a small group of Armed Forces veterans on remembrance Sunday (we try to do something social each year after the service) and were all looking forward to it.Then as we were driving over we receive a missed call and text message cancelling the booking and suggesting we book some time in future. No time to arrange anything else so the afternoon is ruined.